Since spending time in Australia many years ago, my love for coffee has grown ten fold. I used to be a caramel macchiato kind of girl (the shame), but fast forward five years, I live for a black coffee each morning. 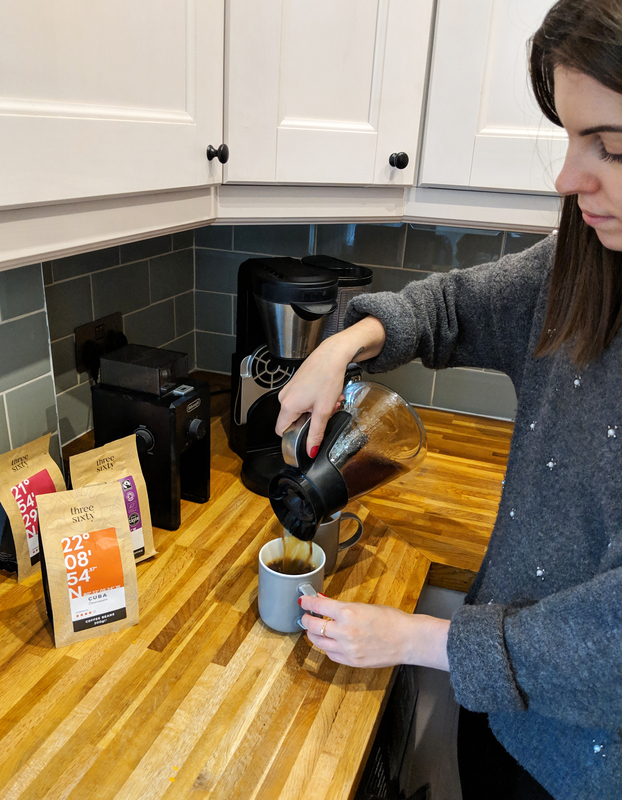 Stew and I have gotten so much into coffee, that over the years we’ve invested in a coffee grinder, and filter coffee machine. We also own a cafetiere and a stove top Bialetti. 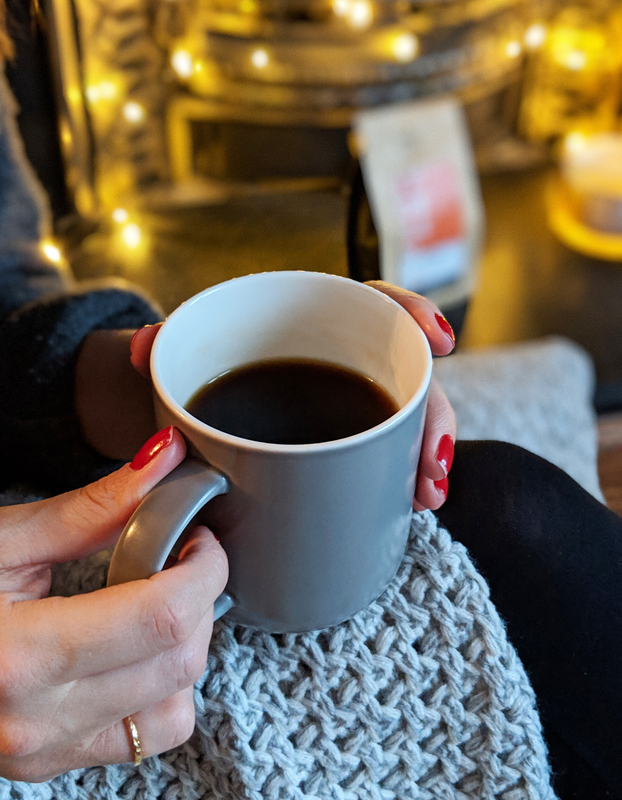 It’s safe to say, we love our coffee, but what we love more, is GOOD coffee. Living in London means we’re surrounded by great independent coffee shops. However, I resent having to spend lots of money on good coffee, when we have all the equipment needed to make a great mug of coffee at home. 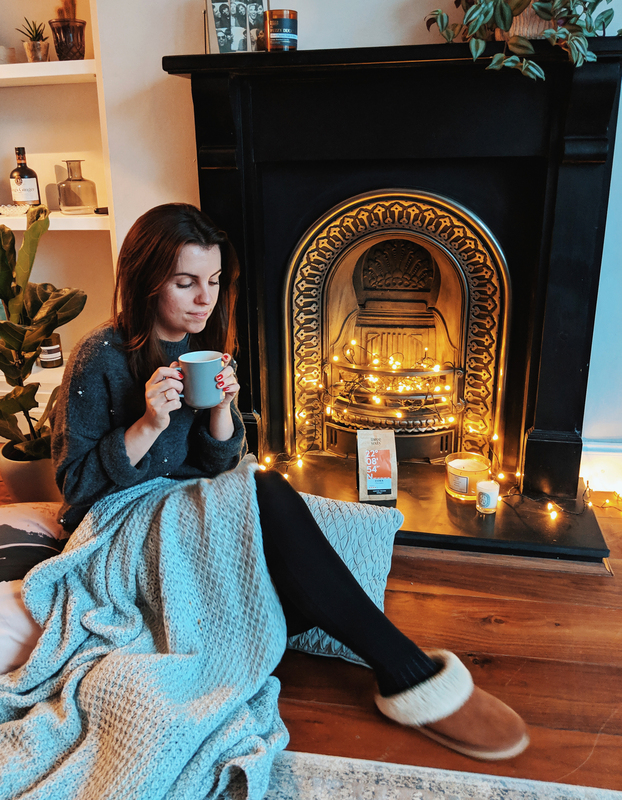 I’ve teamed up with ThreeSixty° Coffee to share my top reasons why coffee at home is better than grabbing one out. ThreeSixty° Coffee are a premium single origin coffee brand. Their luxury products are roasted and blended to showcase the fantastic arabica flavours. Coffee can be an expensive habit if you’re buying one or more each day. Especially if you like good coffee (none of that instant stuff). Why pay upwards of £3-£5 for a nice coffee, when you can buy a 200g bag of beautifully flavoured coffee beans. Whilst we have a grinder and filter coffee machine (pictured below), you don’t have to invest in these to make good coffee. It’s all about the quality of the bean you’re using. Buying a bag of ThreeSixty° Cuba coffee for example, will give you a full-bodied coffee with notes of roasted nuts, cinder toffee, and a caramelised sweetness. Piggybacking off my last point, making coffee at home means you can guarantee great taste. There’s no chance of burning your coffee or using out of date coffee beans, when you’re brewing your own pot. I love being in control of what temperature I want my coffee, how much milk I want in my coffee, and how much coffee I use each time. This helps achieve the best flavour for our personal taste. We tried three of ThreeSixty° ‘s blends – Mexican, Cuban and Peruvian. This week I’ve been drinking ThreeSixty° Mexico, which has a more citrus flavour but with a smooth chocolate note running through it. Cuba is sweeter, whilst Peru ground coffee has delicious notes of cocoa and hazelnut. Personally, the Peruvian blend is my favourite, but Stew prefers the Cuban. It might sound like more effort making coffee at home, but it’s very quick and easy. 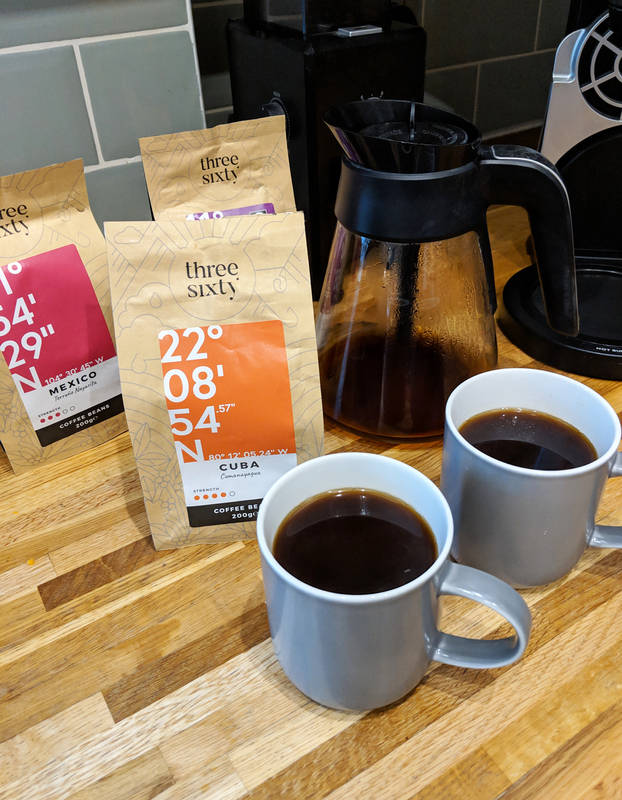 With ThreeSixty’s° ground Peru blend, I’m able to measure a couple of spoonfuls into our cafetiere, add water, wait a few minutes for it to brew, pour and enjoy. It’s that simple. Grinding your own coffee beans, does of course take longer, but only by a minute or so. 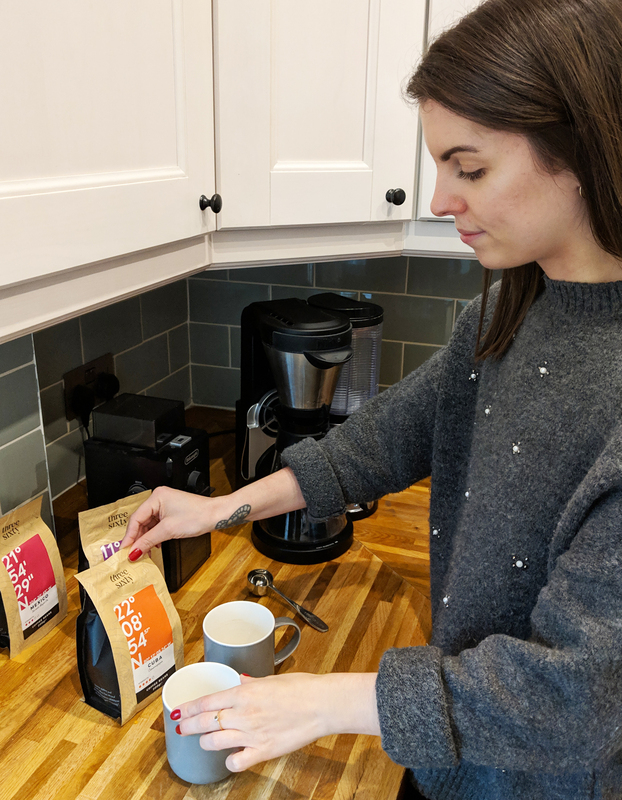 We often pop our pot of coffee on as soon as we get into the kitchen, and by the time we’ve made breakfast and emptied the dishwasher, it’s ready to drink. This may sound odd but our morning routine is much healthier since having coffee at home. We get up 30 minutes earlier, but that allows us the time to have a more leisurely morning. 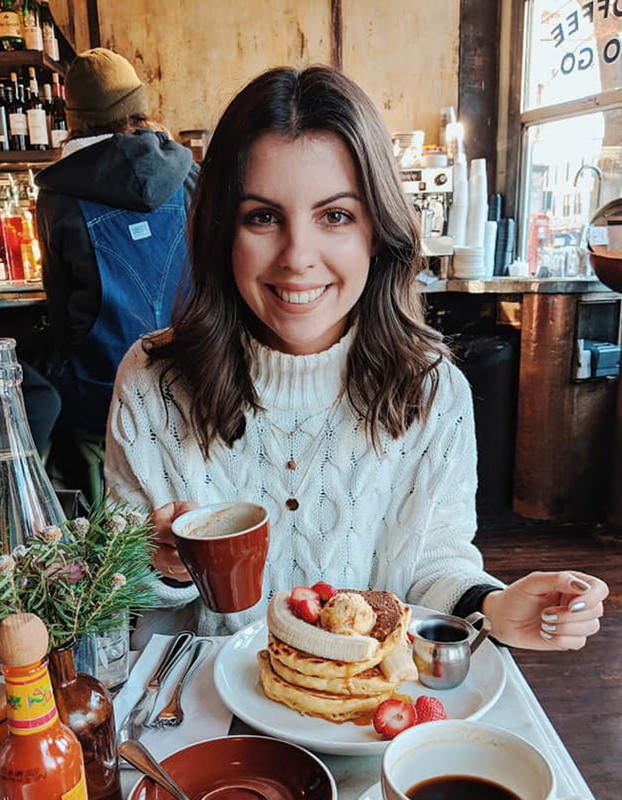 We enjoy breakfast at home together, with a pot of coffee, before making our way to work. This more relaxed start to the day, leaves us feeling more awake, refreshed and ready to start the day. Gone are the days where we’d get up, dressed and rush out of the door. No more arriving at work mid yawn, dying for a cup of coffee. We feel much better for our new routine. Coffee on the go can be detrimental to the environment, with those nasty coffee takeaway cups, that are notoriously hard to recycle. If you do prefer your coffee on the go, it’s important to invest in a keep cup of some description. Otherwise, invest in coffee at home! ThreeSixty° Coffee make it so easy to enjoy coffee at home, there’s really no excuse. Fun fact! The numbers on the front of ThreeSixty° Coffee packaging are coordinates. If you type these into Google Earth, you can discover each of their coffee’s country of origin. Once the beans reach the UK, they’re lovingly roasted at their roastery in Dartford. Do you like coffee? Do you drink coffee at home? 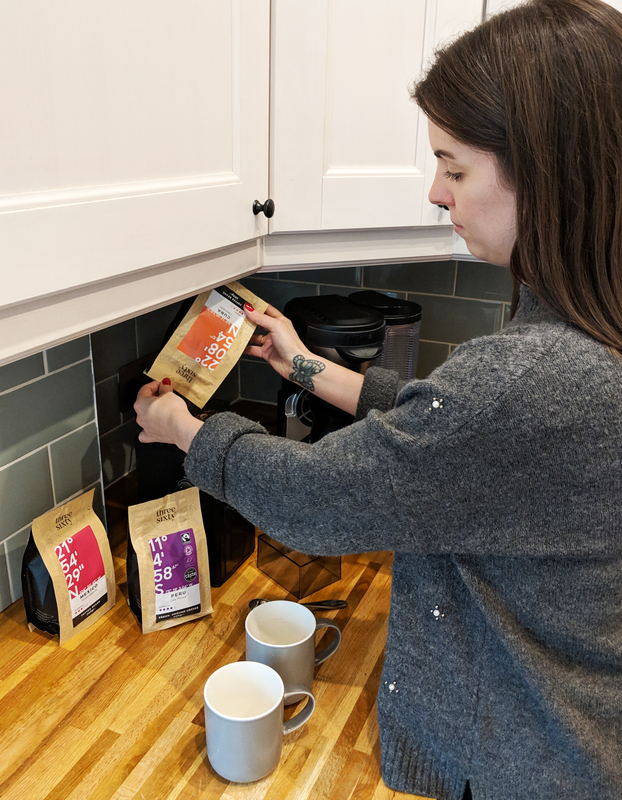 You can find ThreeSixty° Coffee at Ocado and Waitrose.